The Hotel Shambaling is located in the Boudha & Gokarma Forest Reserve district of the vibrant city of Kathmandu, just 3 km from Tribhuvan International Airport. The hotel is situated near a number of local attractions, including the Boudhnath Stupa, Pashupatinath Temple, Narayanhity Palace Museum, and Casino Royale. Hotel Shambaling has 30 comfortable and spacious guest rooms featuring hardwood floors and simple, colorful decor with Nepalese influences. Guests of the Hotel Shambaling will appreciate the friendly and helpful staff, and the wide range of amenities. The hotel also features a relaxing cafe, full-service bar, and a restaurant serving regional cuisine with 24-hour room service. Kantipur Temple House is located in the tourist hub of the Thamel district in the picturesque city of Kathmandu. The hotel is situated within walking distance to a number of local attractions, including the Best Shopping Centre, Kathmandu Palace Square, Garden of Dreams, and Swayambhunath Buddhist stupa. The hotel is also just 5 km from Tribhuvan International Airport. 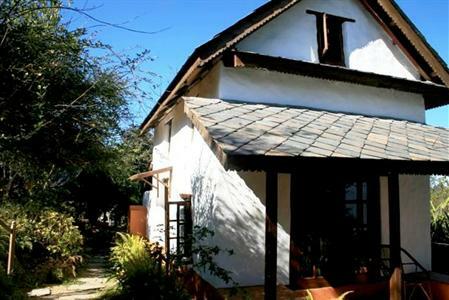 Kantipur Temple House has 48 comfortable and spacious guest rooms featuring traditional Nepalese decor and rustic furnishings. 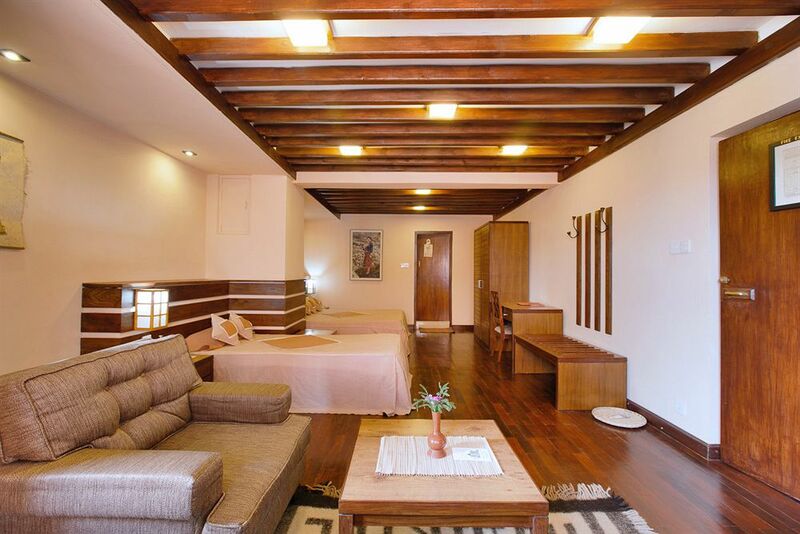 The Kantipur Temple House provides guests with impeccable service and a wide range of amenities. The hotel also features a bar and a restaurant with rooftop terrace serving regional cuisine and available 24-hour room service. Kantipur Temple House in Kathmandu! The Royal Penguin Boutique Hotel is located in the tourist hub of the Thamel district in the bustling city of Kathmandu. The hotel is situated within walking distance to a variety of local sites, including the Best Shopping Centre, Kathmandu Palace Square, Garden of Dreams, Gandharba Culture and Art Organisation, and Kathesimbhu stupa. The hotel is also just 5 km from Tribhuvan International Airport. Royal Penguin Boutique Hotel has 13 beautifully designed and comfortable guest room featuring modern decor and furnishings. Each spacious room comes equipped with a private bathroom, balcony, sitting area, complimentary bottled water, and free wireless internet access. 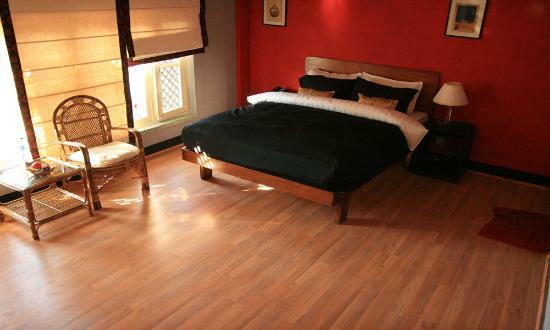 Royal Penguin Boutique Hotel in Kathmandu! 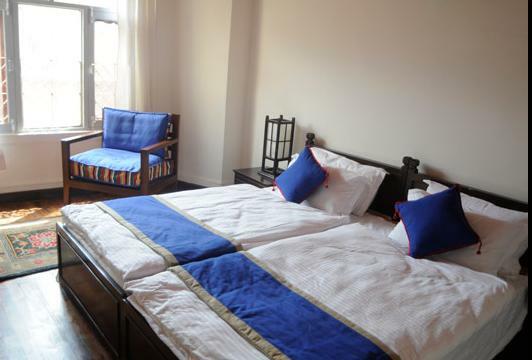 The Ambassador Garden Home is located in the popular tourist district of Thamel in the exciting city of Kathmandu. The hotel is situated just a short walk from many local attractions, including the Best Shopping Centre, Kathmandu Palace Square, Garden of Dreams, and Swayambhunath Buddhist stupa. The hotel is also just 5 km from Tribhuvan International Airport. 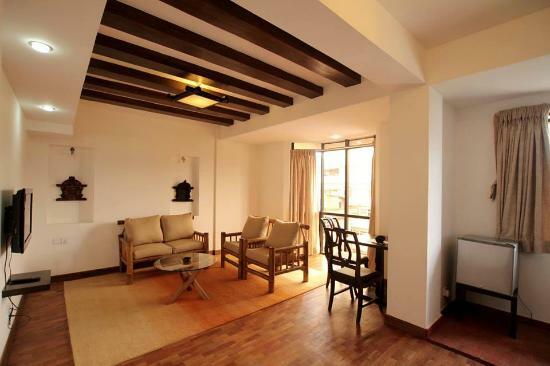 Ambassador Garden Home has 18 comfortable and spacious guest rooms featuring contemporary décor and modern amenities. Each room comes equipped with a private bathroom, sitting area, desk, large windows, LCD TV, and free wireless internet access. The Ambassador Garden Home provides guests with impeccable service and a wide range of features. Ambassador Garden home in Kathmandu! The newly built Hotel Friend's Home is located in the popular tourist region of Thamel, in the exhilarating city of Kathmandu, just 5 km from the center of town. The modern hotel is situated within walking distance from many local attractions, including the Three Goddesses Temple, Best Shopping Centre, Kathmandu Palace Square, Garden of Dreams, and Kathesumbhu Buddhist stupa. The hotel is also just 5 km from Tribhuvan International Airport. 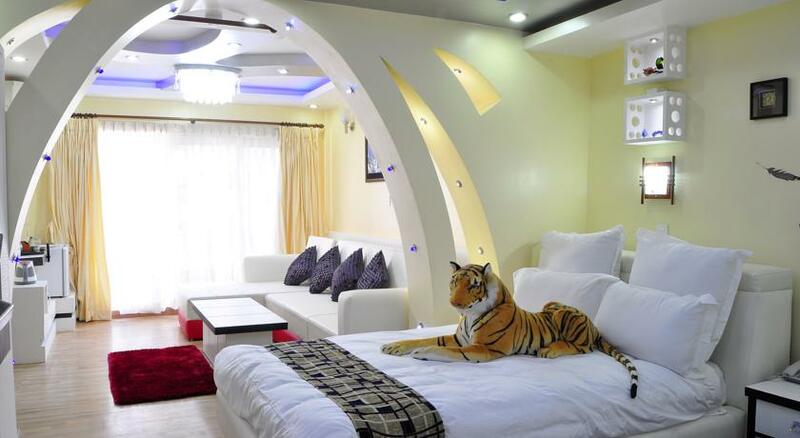 Hotel Friend's Home has 21 comfortable and spacious guest rooms featuring contemporary décor and modern amenities. Each room comes equipped with a private bathroom, sitting area, and large windows. The Hotel Friend's Home provides guests with impeccable service and a wide range of features. Hotel Friend' s Home in Kathmandu! 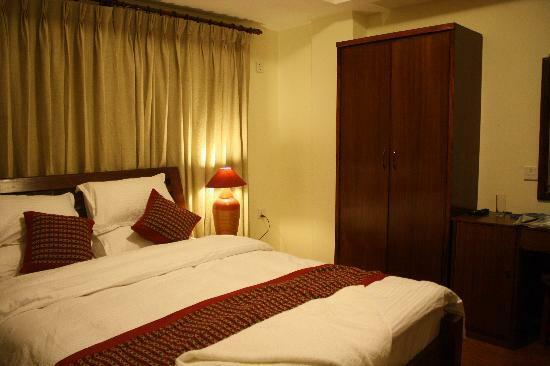 The Gaju Suite Hotel is located in the popular tourist area of Thamel, in the vibrant city of Kathmandu. Situated just 5 km from the city center, the hotel provides the perfect base for guests to explore this exciting city and experience everything it has to offer. Many nearby attractions are within walking distance from the hotel, including the Three Goddesses Temple, Best Shopping Centre, Kathmandu Palace Square, Garden of Dreams, and Kathesumbhu Buddhist stupa. The hotel is also just 5 km from Tribhuvan International Airport. Gaju Suite Hotel has 22 bright and spacious guest rooms featuring tasteful contemporary decor and comfortable furnishings. Each well-appointed room comes equipped with large bed, and a private bathroom. Gaju Suite Hotel in Kathmandu! 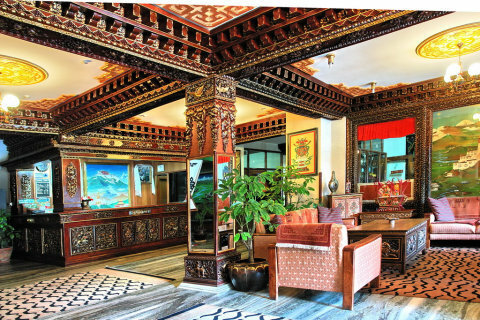 The Hotel Tibet is located in the popular tourist district of Thamel in the exciting city of Kathmandu. The hotel is situated near many local attractions, including the Best Shopping Centre, Kathmandu Palace Square, Garden of Dreams, and Swayambhunath Buddhist stupa. Hotel Tibet has 56 comfortable and spacious guest rooms featuring contemporary d3cor with Tibetan accents and modern amenities. The Hotel Tibet provides guests with impeccable service and a wide range of features, including a peaceful garden, spa with massage services, and guided tours of local sites. The hotel also offers a relaxing café, two full-service bars, and a restaurant serving regional cuisine with available 24-hour room service. The recently built Dream Nepal Hotel & Apartment is located in the popular tourist area of Thamel, in the lively city of Kathmandu. Situated just a short walk from from the city center, the hotel provides the perfect base for guests to explore this exciting city and experience everything it has to offer. Many nearby attractions are within walking distance from the hotel, including the Three Goddesses Temple, Best Shopping Centre, Kathmandu Palace Square, Garden of Dreams, and Kathesumbhu Buddhist stupa. The hotel is also just 8 km from Tribhuvan International Airport. Dream Nepal Hotel & Apartment has comfortable and spacious guest rooms featuring contemporary decor with Nepalese accents, and modern amenities. Dream Nepal Hotel Apartment in Kathmandu! The Traditional Homes Swotha is located in the Patan City district of the vibrant city of Kathmandu, known for its cultural and religious interests. 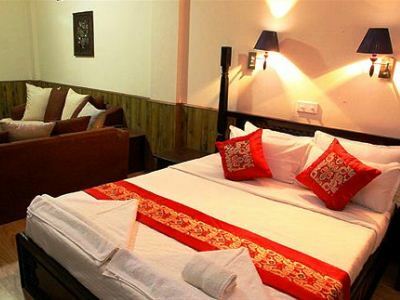 The hotel is situated near a number of local attractions, including the Roadhouse Cafe, Self-Awakening Centre, Freak Street, Siddhartha Art Gallery, and Hanuman Dhoka. The hotel is also just 4 km from Tribhuvan International Airport. Traditional Homes Swotha has 7 comfortable and spacious guest rooms featuring simple decor and furnishings. Each room comes equipped with a bathroom with shower, sitting area, ironing facilities, and free wireless internet access. The hotel also offers a full-service bar, cafe, and a restaurant serving regional dishes with available room service. Traditional Homes Swotha in Kathmandu! The Namo Buddha Resort- Kavre is located in a remote area 30 km outside of Kathmandu, surrounded by lush green hills with views of the Himalayas. The hotel is the perfect place for guests to experience traditional Nepalese culture, and escape the hectic city atmosphere. 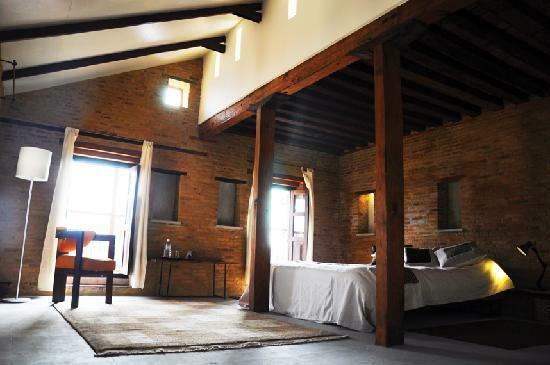 Namo Buddha Resort- Kavre has 15 comfortable guest rooms and private cabins, featuring rustic decor and furnishings. Each room comes equipped with a bathroom, desk, balcony, complimentary bottled water, and free wireless internet access. Guests of Namo Buddha Resort- Kavre will appreciate the friendly staff and wide range of services and amenities. The hotel also features a bar and restaurant serving traditional regional cuisine. Namo Buddha Resort Kavre in Kathmandu!